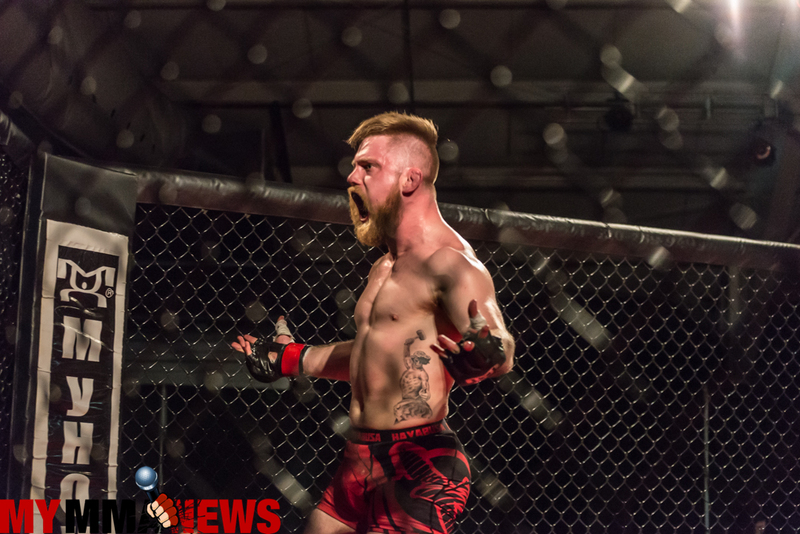 It is not very often that you walk into a fight venue and see a jammed-packed arena already in their seats before the first fight takes place, however that is what happened back in March when 26-year old Ross Stockdale made his amateur mixed martial arts debut at World Cagefighting Championships 16. 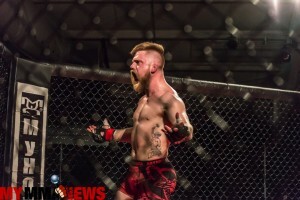 Stockdale, who trains at Gracie 717 in Lancaster, Pennsylvania was the first fighter to walk to the cage at WCC 16 and the crowd was behind him in force. He was also the first fighter to walk out with his hand raised in victory. Fast-forward five months later and Stockdale will return to action next Saturday, August 13 in one of the biggest shows outside of the UFC to ever go down in the Keystone State. 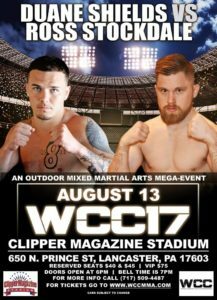 We caught up with Stockdale to discuss his upcoming WCC 17 fight at Clipper Magazine Stadium to find out exactly what it is about him that puts butts in seats. 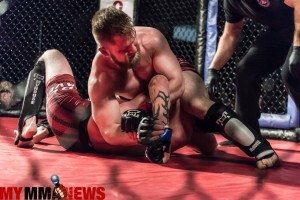 MyMMANews – You made your amateur debut back at WCC 16 against Taylor Mozingo. You won the fight, but even more impressive than the third round submission win was the fact that you were the first fight of the night and you sold the most tickets of any fighter on the card and the arena was packed to watch you compete. You rarely see an arena packed like that for the first fight. You managed to set the pace for the entire night. What do you attribute your following to, and what was it like to see such a great turnout? MyMMANews – As we mentioned earlier, you got the win in that fight. It was a verbal tap from a third round kimura. Is jiu-jitsu your bread and butter or was it just something that sort of fell into place in that fight and you went with it? 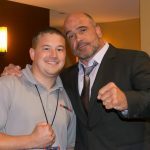 MyMMANews – On August 13 at the Clipper Magazine Stadium, you will make your second WCC appearance. You are taking on Duane Shields from Martinez BJJ. What do you know about him and is there anything that he brings to the table that you are specifically training for? MyMMANews – As we said, this is a stadium show. This has never been done before in Pennsylvania, at least not of this magnitude. Do you see there being any added pressures because of the type of venue or the size of the crowd? MyMMANews – Walk us through a typical fight camp for you? Obviously being an amateur fighter you do not do this full time, so fill us in as to how you split time between everyday struggles of life and training for a mixed martial arts competition. Stockdale – “Well this fight camp has been a bit of a blessing. As of mid May I’ve been out of work and thus seeking employment, so I’ve been preparing for this fight full time. Typically I workout 3x a day, and in between refuel periods I’m on Youtube, Fight Pass, or /r/mma studying. I fit a strength/conditioning/fine skill workout in between 10-12 a.m. grappling practices, and 6-9 p.m., striking/MMA practices. I try to do Bikram yoga 2-3x a week for a fun way to mix things up and stay mentally sound. I’ll try to go for a long hike at least once a week too. Staying mentally strong is a big component of camp. MyMMANews – Are there any sponsors you want to thank? Social media sites/usernames for fans to follow? MyMMANews – Any parting words?